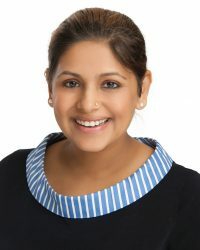 Rupali Soeters, PT, MEd, PhD, is an assistant professor in the Doctor of Physical Therapy program. After completing her entry-level professional Bachelor in Physiotherapy, Dr. Soeters completed her Master of Education in Exercise Physiology with a focus on cardiopulmonary rehabilitation at Temple University. She completed a post-professional PhD in Exercise Physiology with a focus on Bone Tissue Biomechanics at Temple University. She holds a New York PT license. Dr. Soeters has worked in acute care settings for nearly 10 years. In addition to her clinical work, Dr. Soeters has a robust scholarship agenda in the field of orthopedic rehabilitation and value-based health care delivery, contributing to several disseminations through peer-reviewed publications and scientific and professional presentations. She has developed and designed initiatives and research studies along with non-clinical process improvement projects to address specific areas of focus to improve care delivery in addition to clinical outcomes and to minimize cost. Findings from these studies/initiatives have led to changes in standards of care. Considering her interest and her body of work in health care delivery, Dr. Soeters was selected to attend an intensive seminar on value-based health care delivery at Harvard Business School in January of 2018. She has been a lead investigator on projects that have received grant monies totaling up to $75,000. Dr. Soeters is a member of APTA. She is also a manuscript reviewer for the Journal of Orthopedic and Sports Physical Therapy (JOSPT).